Is There a Marshalls Student Discount? Marshalls does not offer discounts to student shoppers. For more information about the Marshalls student discount policy and other ways to save at Marshalls, see below. Marshalls does not have a student discount available, a TJX Companies corporate customer service representative said. TJX Companies is the parent company of Marshalls. We called stores in Alabama, Missouri, Oklahoma, Pennsylvania, and Tennessee to confirm this information; none of the stores we contacted offer a student discount. 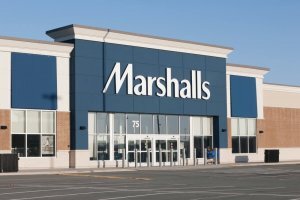 Marshalls does not offer a military discount or senior discount either. The discount retailer doesn’t typically accept coupons, nor does it have a store reward program. But TJX Rewards credit card and Platinum Mastercard cardholders get 10 percent off their first in-store purchase made with the card. And both credit cards offer 5 percent back in rewards every time you shop at a TJX store (including Marshalls, T.J. Maxx, HomeGoods, Sierra Trading Post, and Homesense). Marshalls does not offer a student discount. You can apply for the TJX Rewards credit card or Platinum Mastercard to earn 10 percent off your first in-store purchase, as well as a percentage back in rewards on all eligible store purchases. For more on shopping at Marshalls, see our article on Marshalls’ restocking policy.